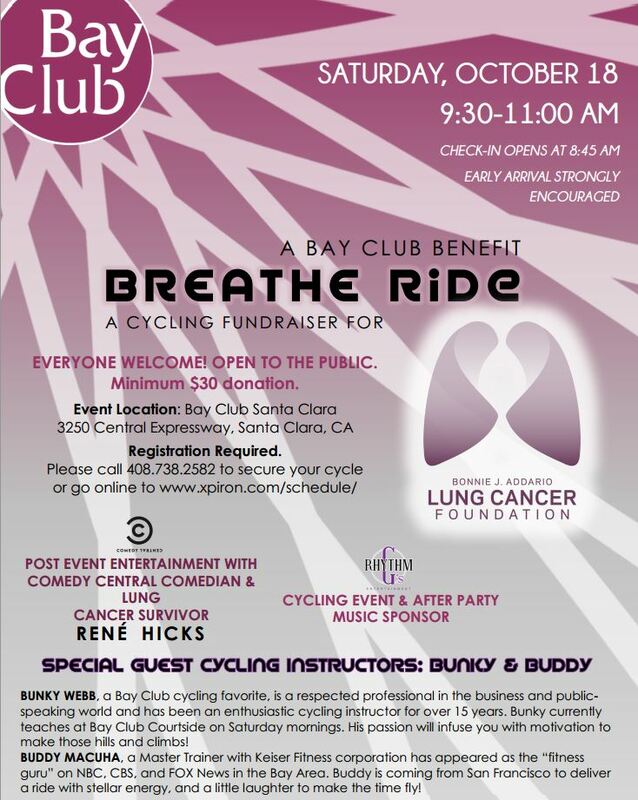 Browse: Home » Team Lisa » Please Join us for the Breathe Ride at Bay Club Santa Clara, October 18! I am SO excited to announce this event! As many of you know, I taught indoor cycle classes for many years prior to getting sick. 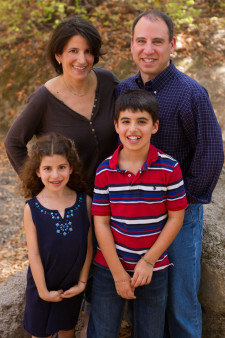 When my fitness family found out about my diagnosis, they showed up big time. I’ve received so many messages, gifts, prayers and visits from former students, fellow instructors and even several of my personal mentors and idols. Back in May, I got a message from Buddy Macuha, a phenomenal instructor and all-around great guy whom I’ve had the pleasure of learning from at a few trainings. He asked “is there anything you need?” I usually turn down most offers to help, as I’m uncomfortable accepting so much from so many, but I’d had an idea brewing in my head for a while where Buddy could really make a big difference. I wanted to plan an indoor cycle fundraiser for the Lung Cancer Foundation. So, I went out on a limb and asked Buddy if he’d be willing, and without hesitation he responded, “I’ll be there.” *So grateful. * So, with that green light, I began rustling the trees, looking for the right venue and all the rest of the pieces. Bay Club Santa Clara stepped up to the plate and has been wonderful. Group exercise director Lisa Folkers, a cancer survivor herself, sprang into action and put together a great team with another wonderful instructor, Bunky Webb, and Rhythm G’s DJ services. 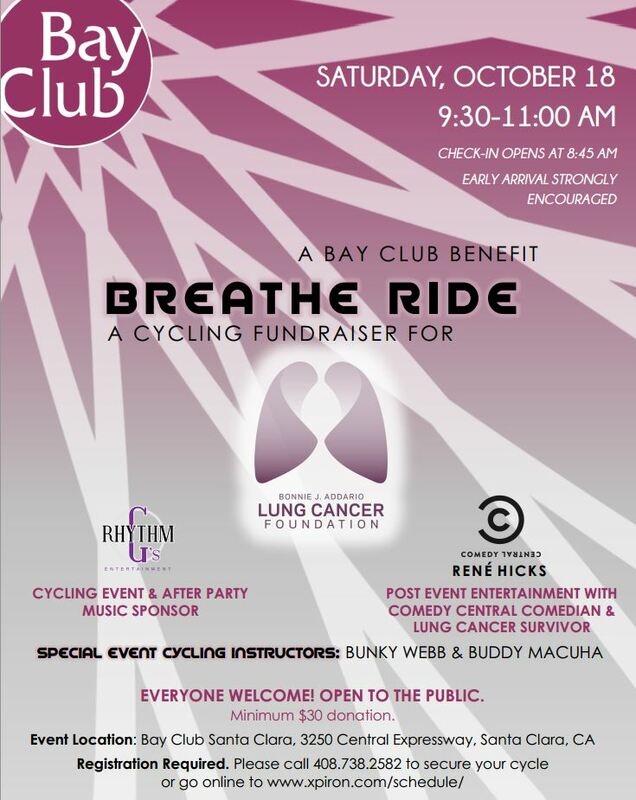 My new friend, comedian and fellow lung cancer survivor Rene Hicks has also agreed to come entertain us afterwards. All these people are donating their time and talent so we can maximize our fundraising dollars. You guys — this is going to be SO MUCH FUN. I’d be encouraging everyone to go, even if it wasn’t for a cause near and dear to my heart (literally), but add in the philanthropy aspect and it’s a no-brainer. 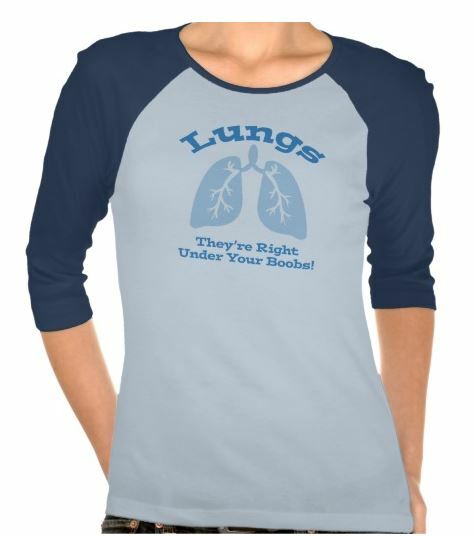 Sign up today – Let’s sell this sucker out and raise some awareness and money for lung cancer! P.S. If you are interested, I really encourage you to sign up early. Spots are limited. If there is demand, Bay Club may be able to bring in some extra bikes, but only with enough advance notice to arrange it, so last minute ads will be difficult. P.P.S. You don’t have to be an avid cyclist to enjoy this event. Many instructors will be on hand to assist with bike set-up for those unfamiliar, and if 90 minutes is too much, breaks are definitely permitted. P.P.S. If you cannot participate, but still wish to donate, please click here and make sure to reference either Lisa Goldman or the Breathe Ride, so your contribution can count toward the total raised for this event. Thank you!